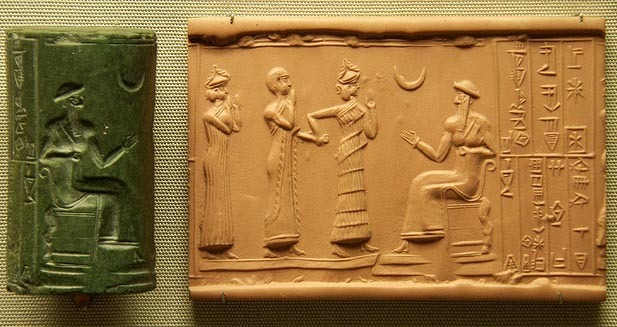 A cylinder seal is a cylinder engraved with a ‘picture story’, used in ancient times to roll an impression onto a two-dimensional surface, generally wet clay. 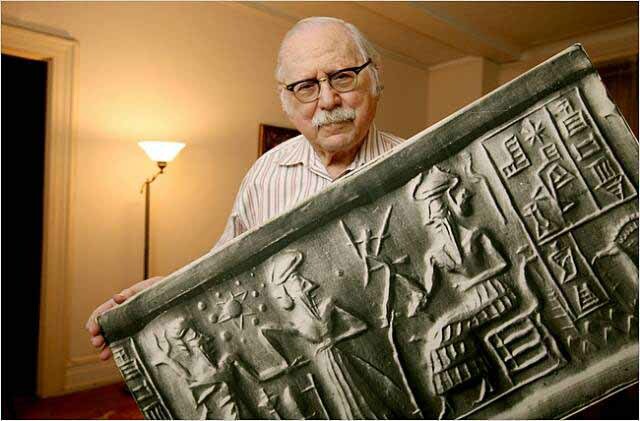 Cylinder seals were invented around 3500 BC in the Near East, at the contemporary site of Susa in south-western Iran and at the early site of Uruk in southern Mesopotamia. 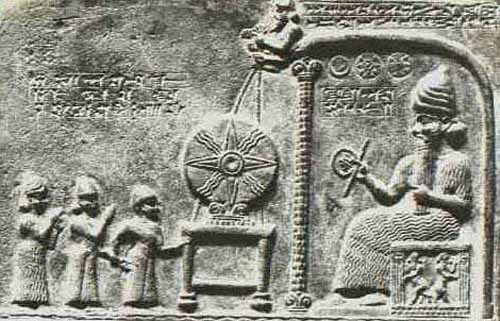 They are linked to the invention of the latter cuneiform writing on clay cylinders. 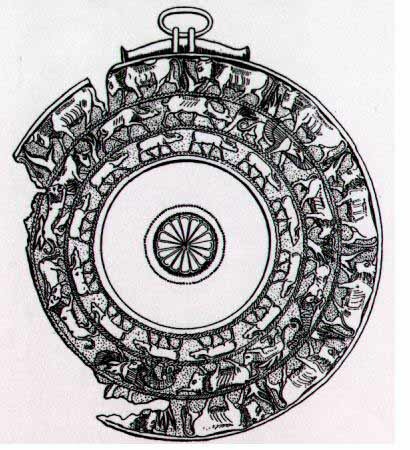 Seal were made from hard stone, glass, or ceramics such as Egyptian faience. Many varieties of material such as hematite, obsidian, steatite, amethyst and carnelian were used to make cylinder seals, but lapis lazuli was especially popular because of the beauty of the blue stone. A cylinder was rolled over wet clay to mark or identify clay tablets, envelopes, ceramics and bricks. It so covers an area as large as desired, an advantage over earlier stamp seals. Inscriptions were mostly carved in reverse, so as to leave a positive image on the clay with figures standing out. Some are directly carved and leave a negative imprint. While most Mesopotamian cylinder seals form an image through the use of depressions in the cylinder surface, some cylinder seals print images using raised areas on the cylinder. The former are used primarily on wet clays; the latter, sometimes referred to as roller stamps, are used to print images on cloth and other similar two dimensional surfaces. 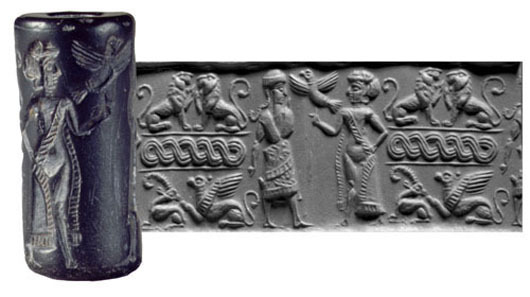 Cylinder seals are a form of impression seal, a category which includes the stamp seal and finger ring seal. 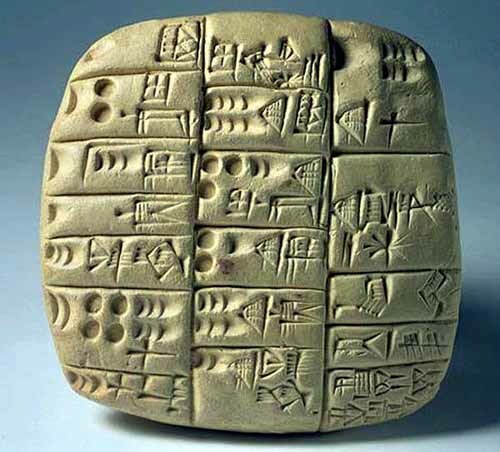 The seals were needed as signatures, confirmation of receipts, or to mark clay tablets and building blocks. Its use and spread coincides with the use of clay tablets, starting at the end of the 4th millennium up to the end of the first millennium. Cylinder seals identified ownership of property and tokens for recording commodities. They were used as administrative tool, jewelry and as magical amulets, later versions would employ notations with Mesopotamian hieroglyphs. In later periods, they were used to notarize or attest to multiple impressions of clay documents. Graves and other sites housing precious items such as gold, silver, beads, and gemstones often included one or two cylinder seals, as honorific grave goods. 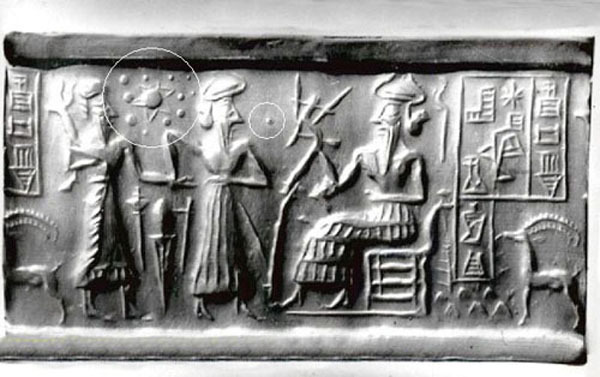 Cylinder seals are important to historians as they often tell a story about a specific timeline and civilization. Images depicted on cylinder seals were mostly theme-driven, often sociological or religious. Instead of addressing the authority of the seal, a better study may be of the thematic nature of the seals, since they presented the ideas of the society in pictographic and text form. 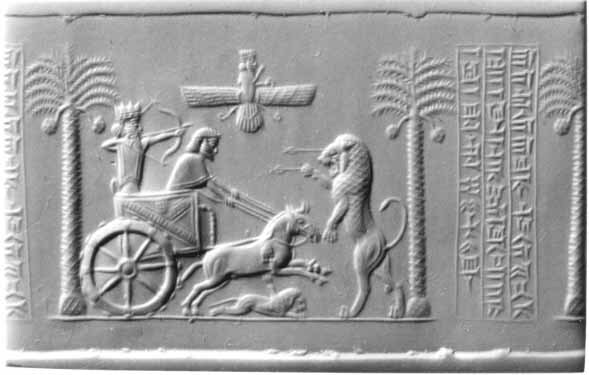 In a famous cylinder depicting Darius I of Persia: he is aiming his drawn bow at an upright enraged lion impaled by two arrows, while his chariot horse is trampling a deceased lion. 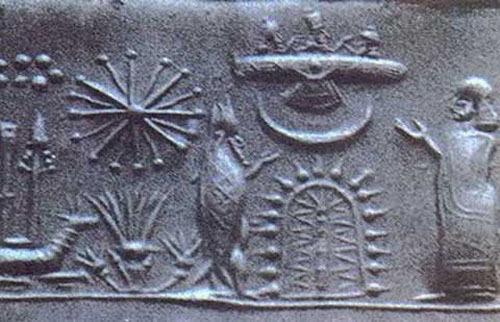 The scene is framed between two slim palm trees, a block of cuneiform text, and above the scene, the Faravahar symbol of Ahura Mazda, the god representation of Zoroastrianism.